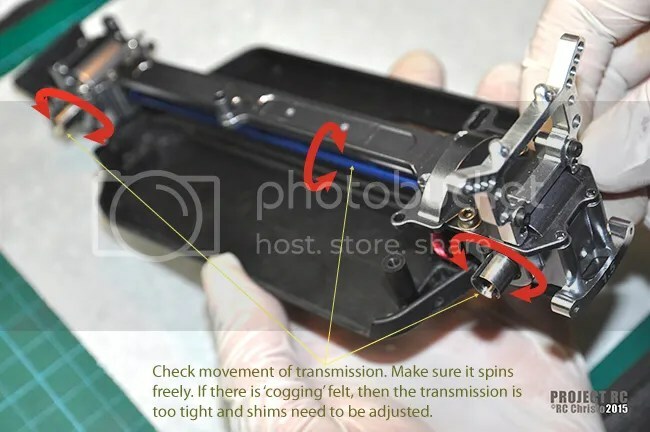 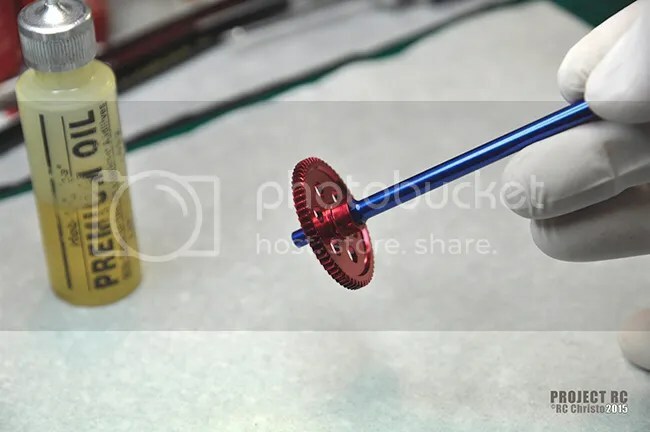 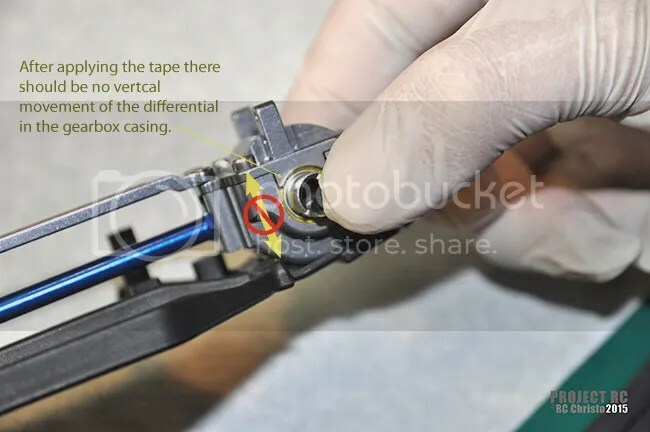 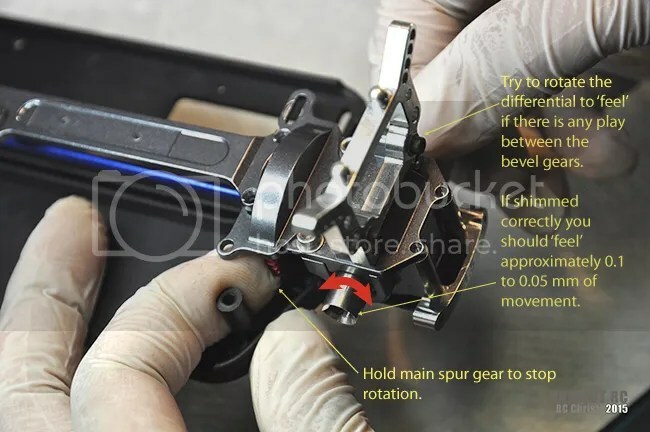 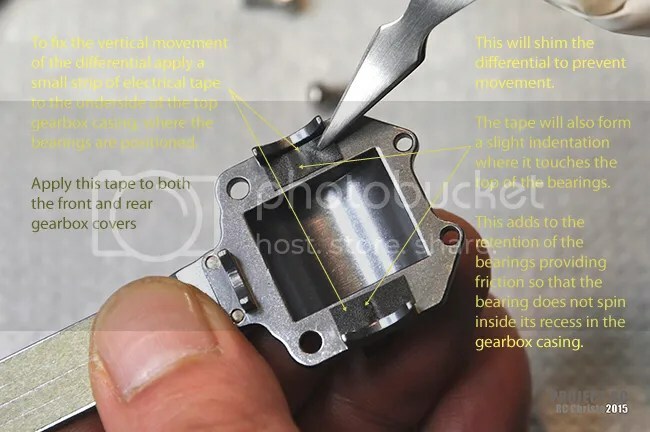 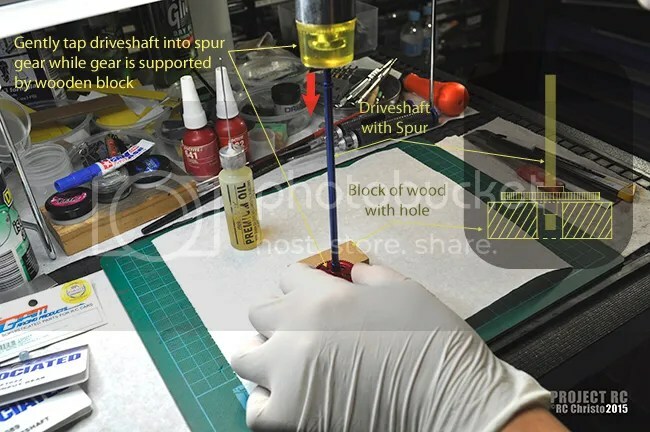 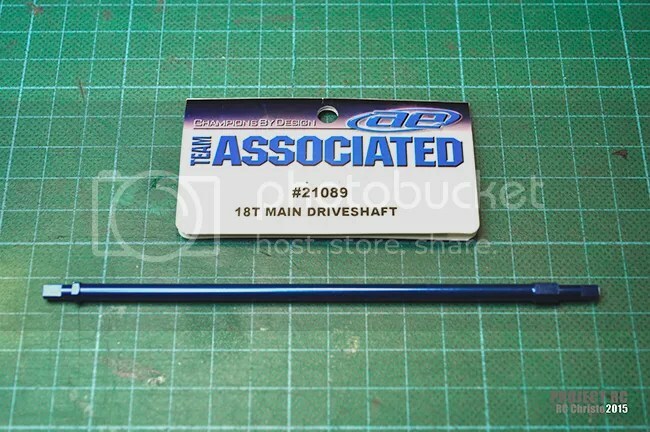 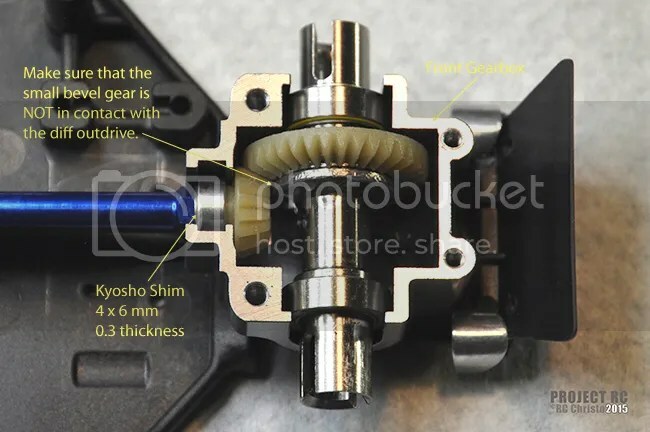 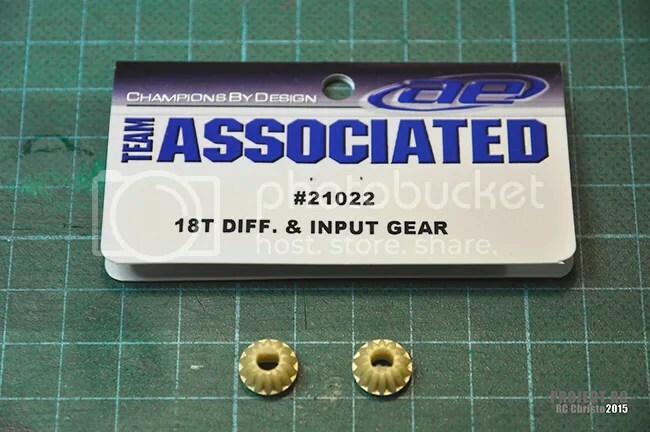 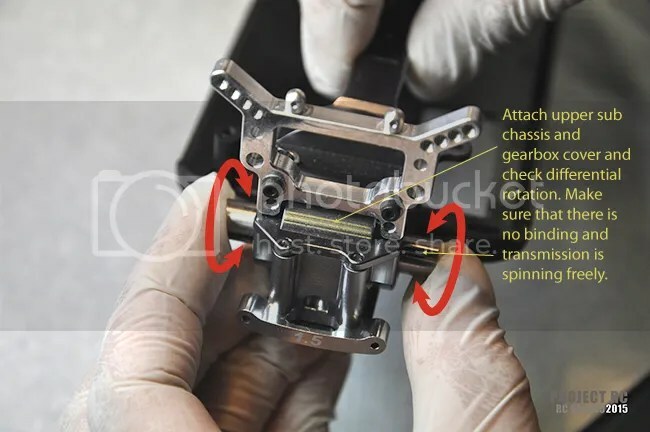 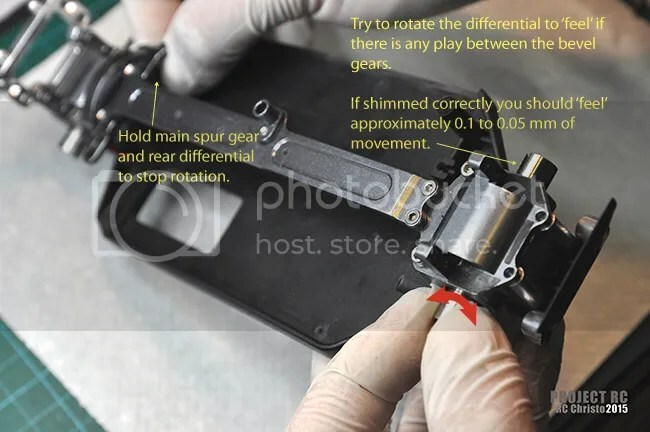 This ‘How To’ article will describe the particular steps and components I use to build and shim an upgraded RC18T drivetrain using aftermarket and stock components. 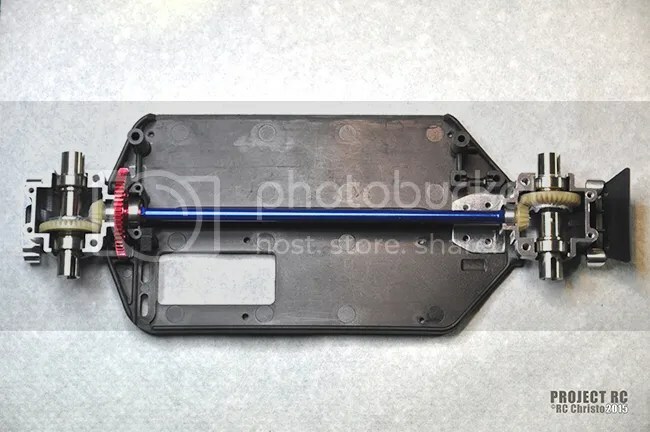 This drivetrain comprises of upgraded titanium ball differentials, a stock aluminium driveshaft, aftermarket ceramic bearings and stainless steel shims. 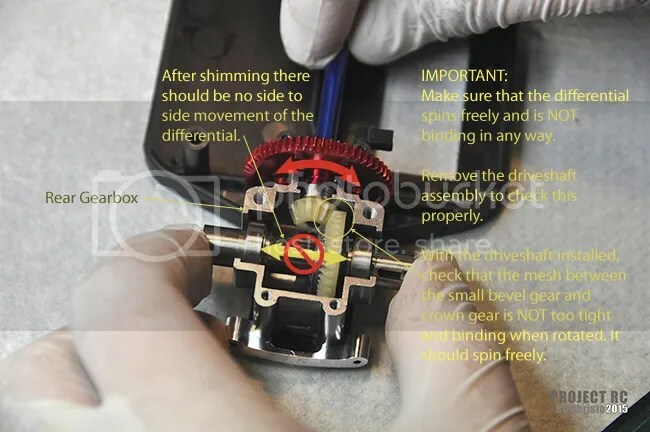 This article will focus on the installation of the various sub assemblies and the shimming required to create a smooth running and efficient drivetrain. 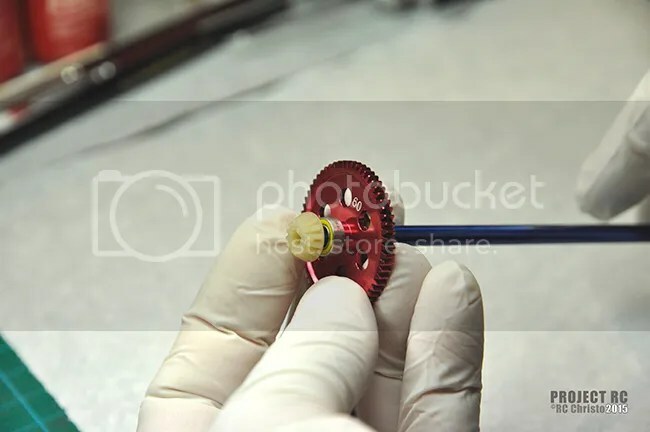 The following assembly procedure does not include the application of the required greases and lubricants for the drivetrain. 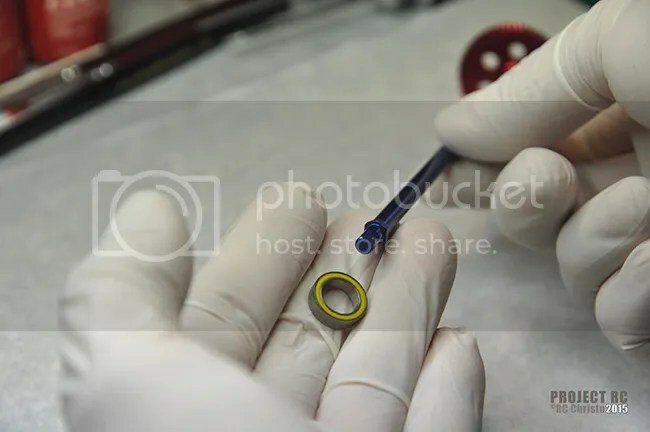 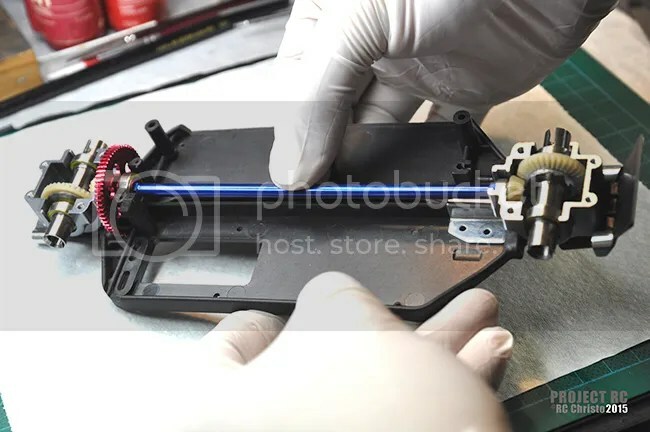 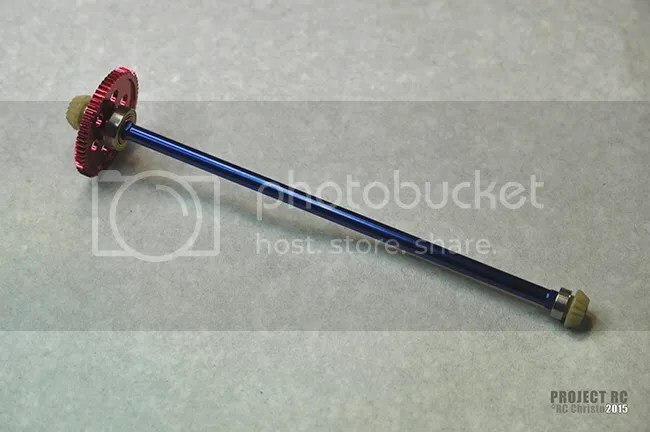 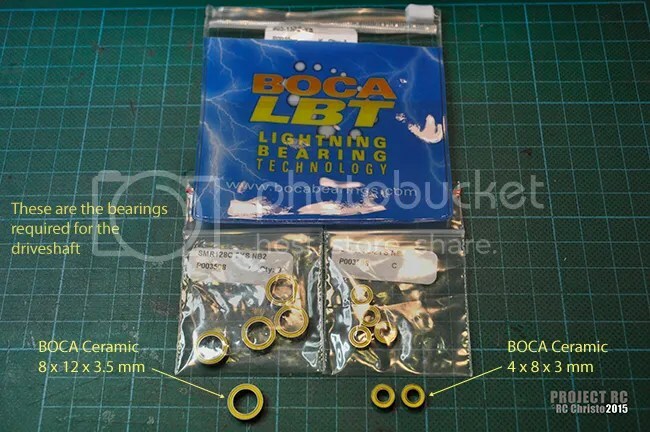 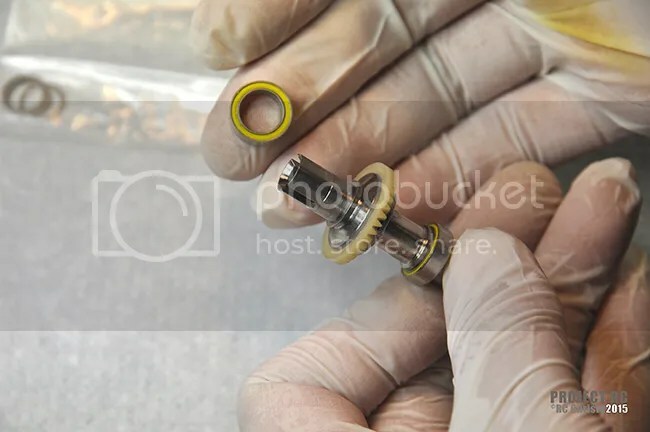 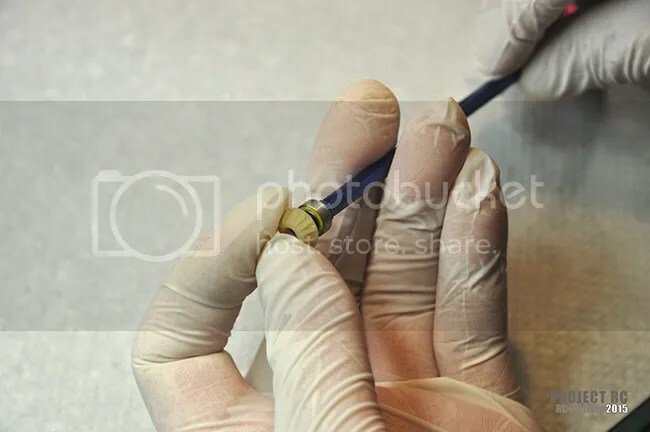 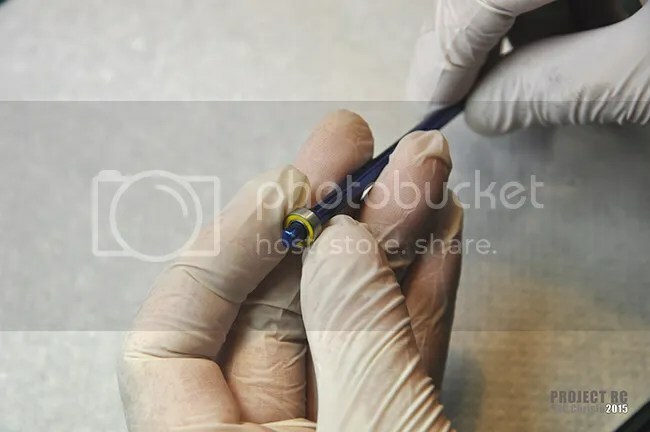 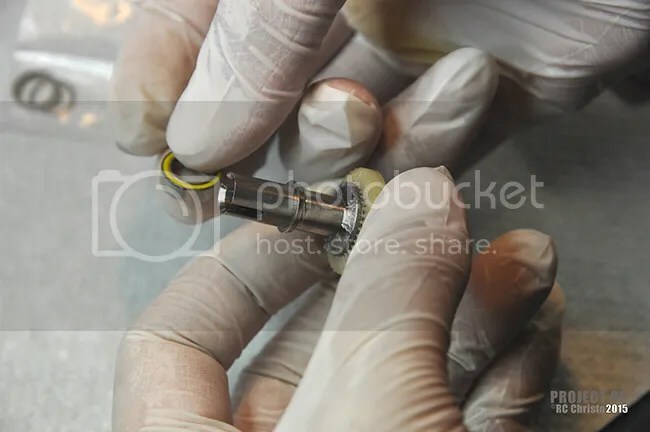 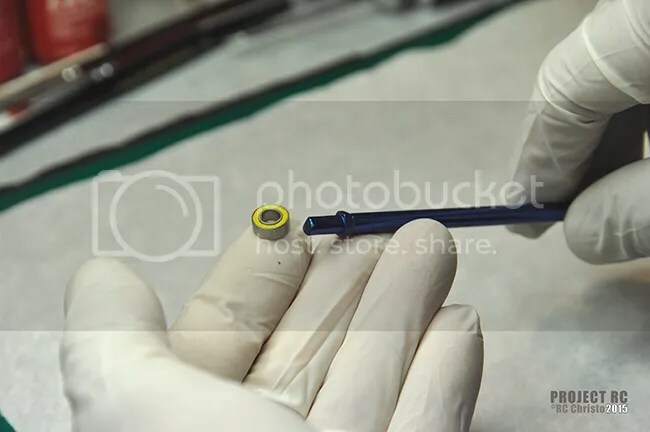 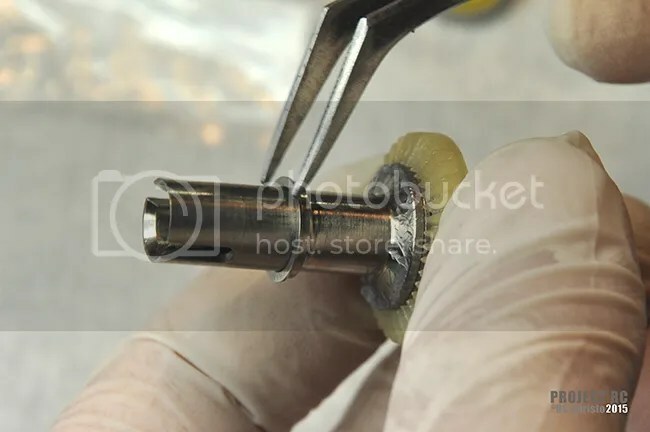 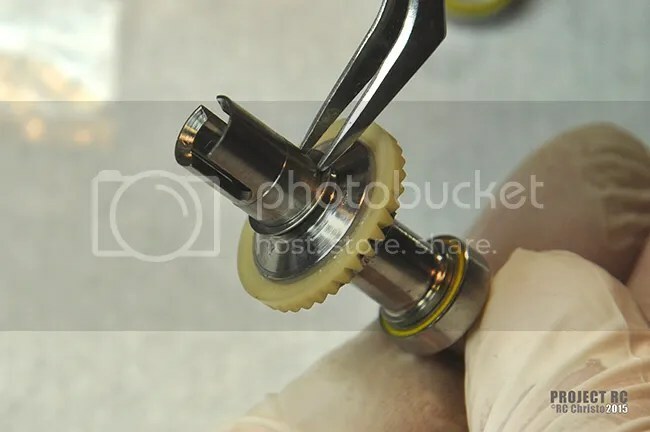 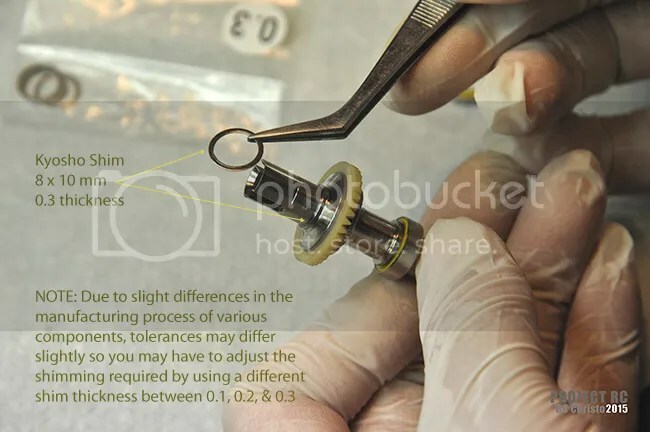 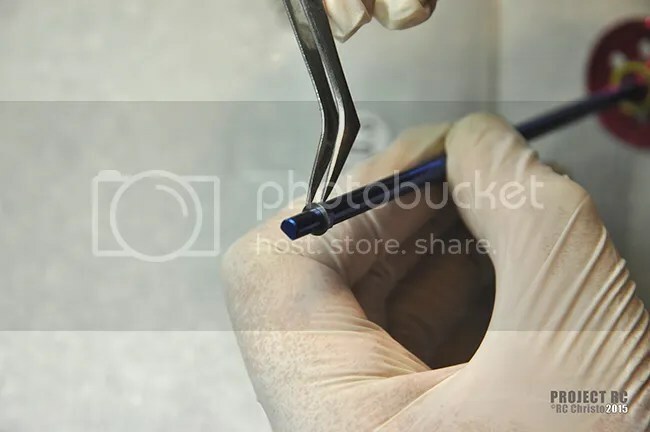 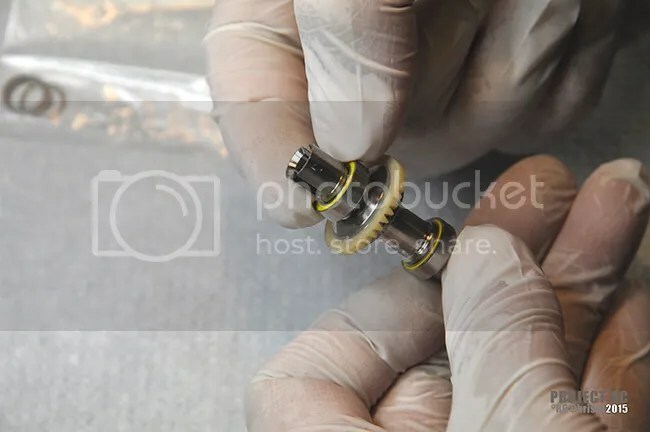 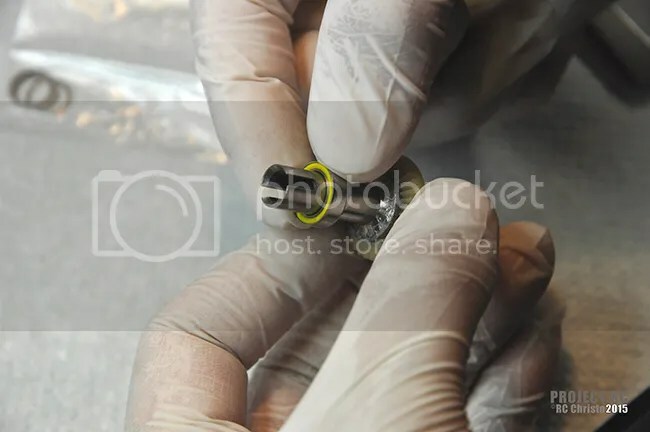 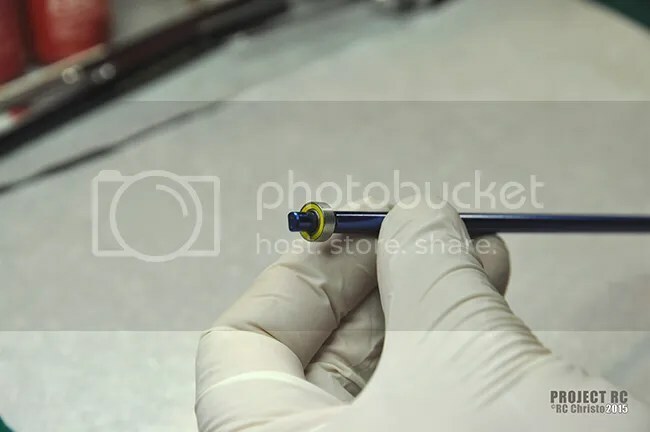 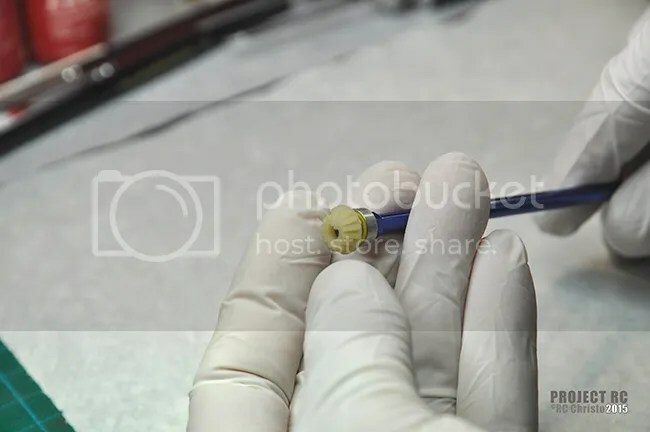 In addition components are installed without the use of threadlock. 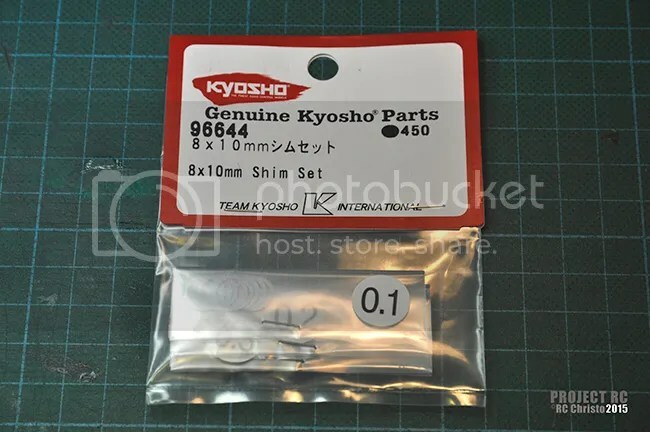 These will be applied during final assembly. 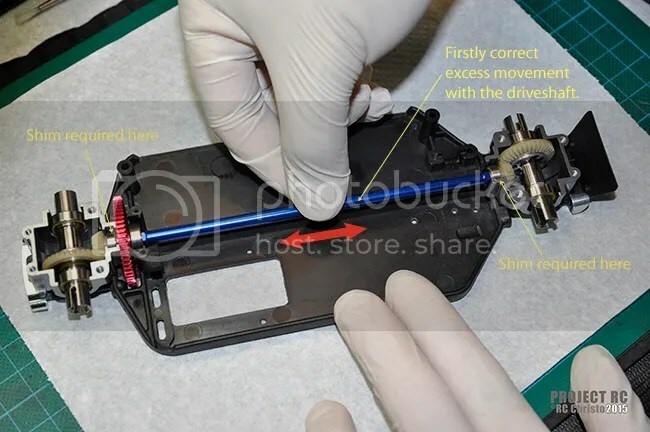 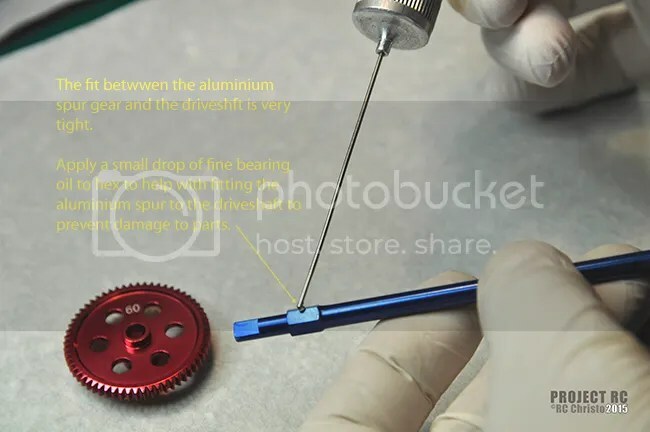 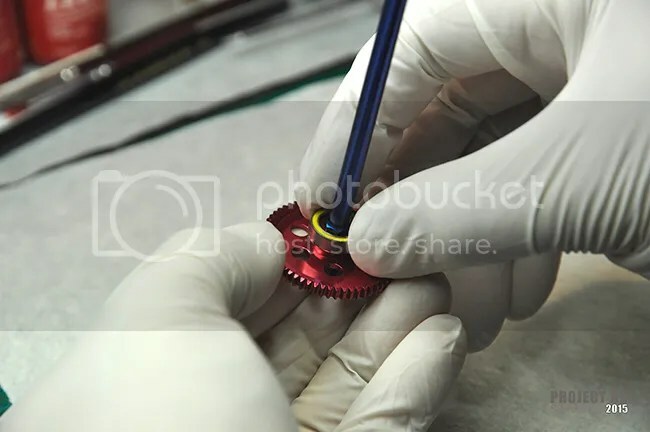 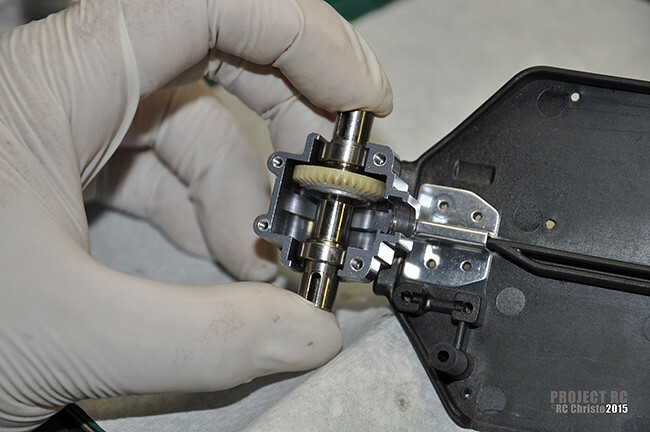 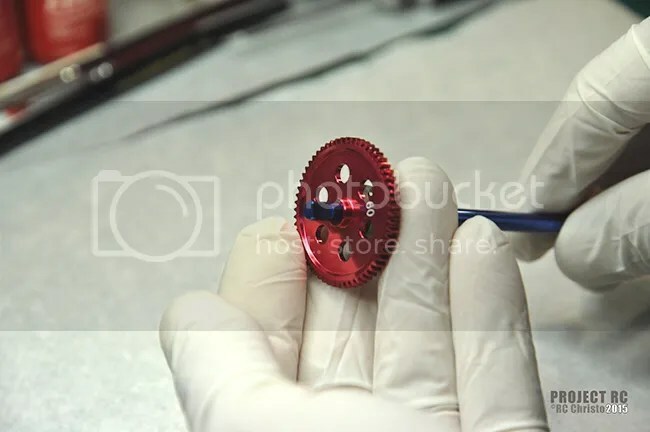 By ‘dry’ assembling the drivetrain components you can accurately and easily determine the subtle mechanical differences in the tolerances between the gears and component fitment without a layer of grease between the gear teeth altering or concealing the actual state of the mechanical elements. 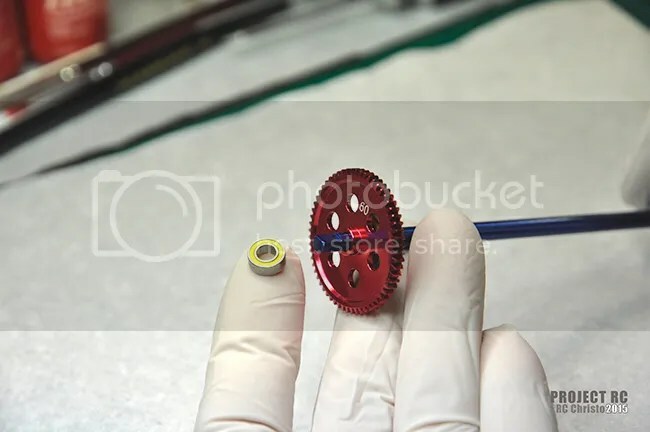 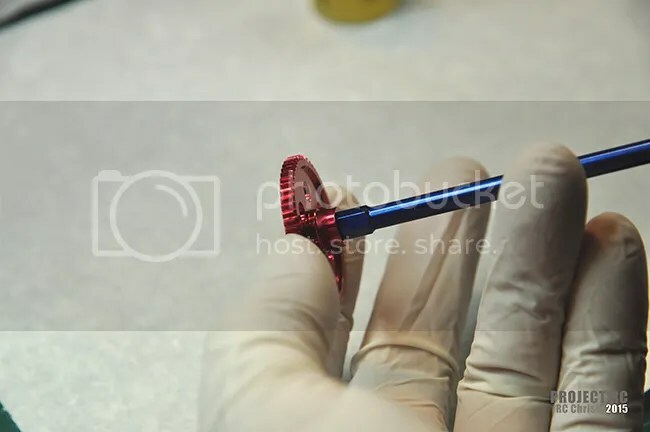 Through this method you can accurately install the correct shim thicknesses to set the proper the gear mesh and component fitment. 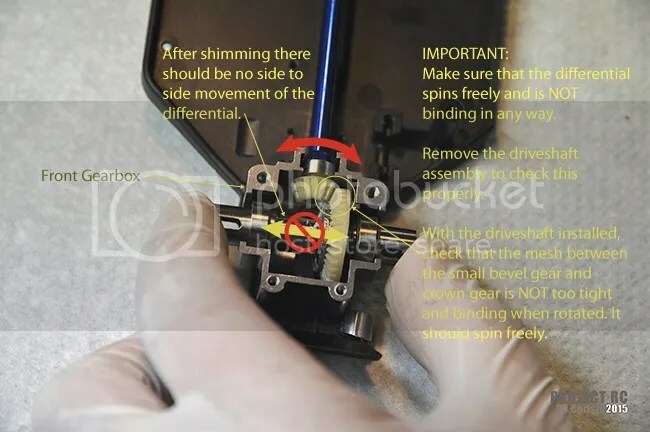 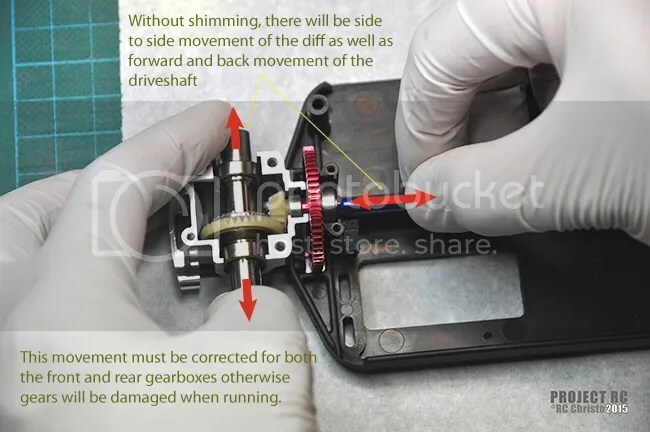 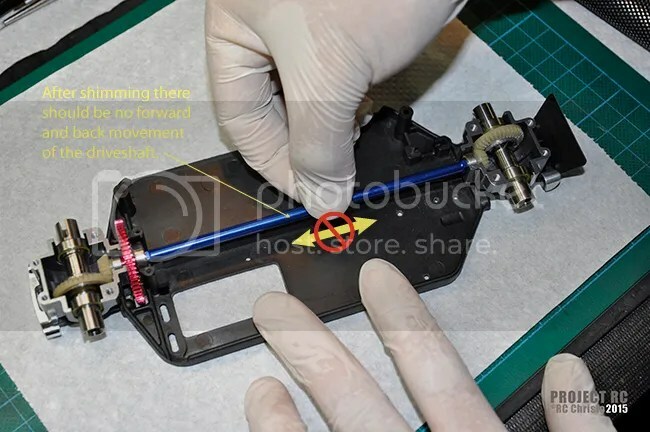 Once the driveshaft has been set into position with the appropriate shims, the next stage is to install the assembled differentials and shim so that there is not excessive play between the diff bevel gear and the driveshaft input gear. 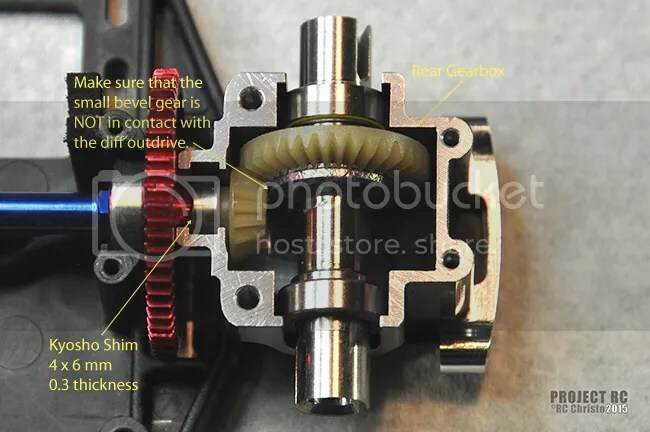 Un-shimmed and ‘loose’ differentials are the main cause of gear damage as excessive space in between two mated gears will eventually cause the gear teeth to slip against each other and wear the gear teeth prematurely ultimately ‘stripping’ the gears. 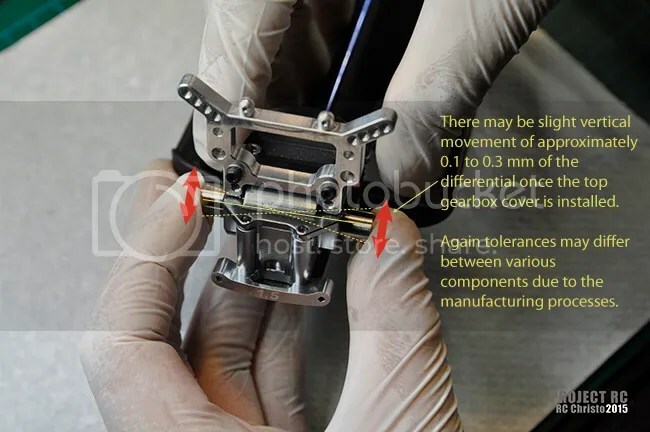 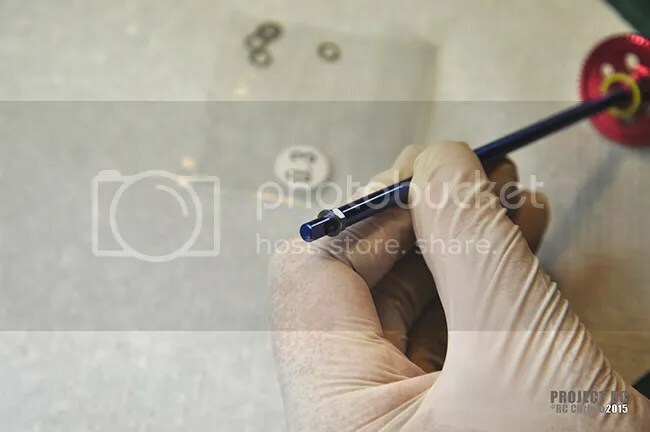 It is important to mention that as a result of the manufacturing process there may be slight differences in the fitment tolerances of various components. 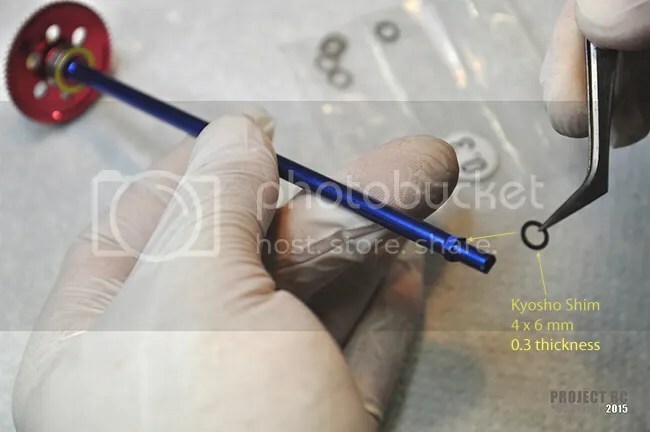 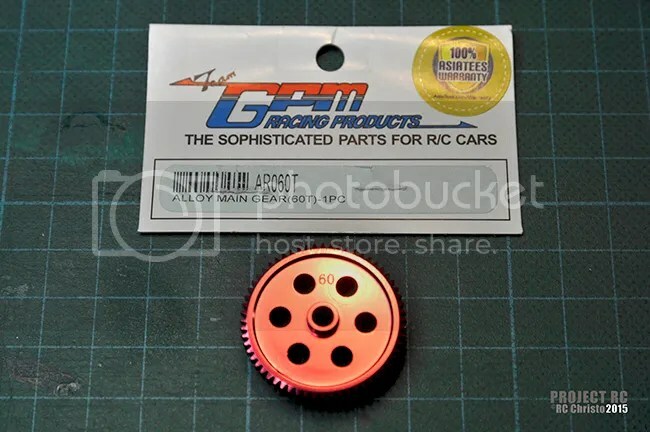 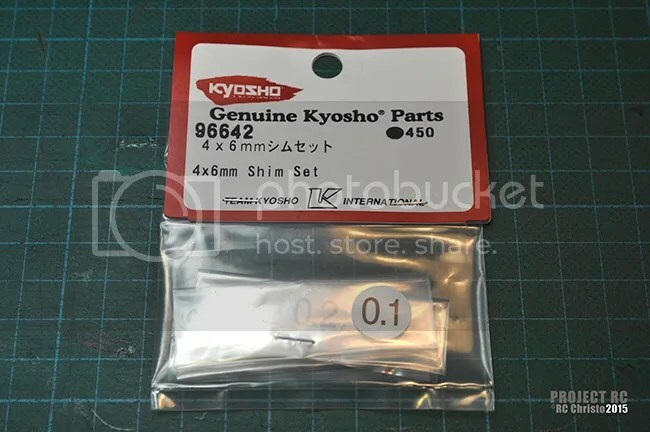 For this particular assembly, Kyosho Shims (8.0 x 10.0mm – 0.3 thickness) have been fitted on each side of the differentials to form a perfect fit. 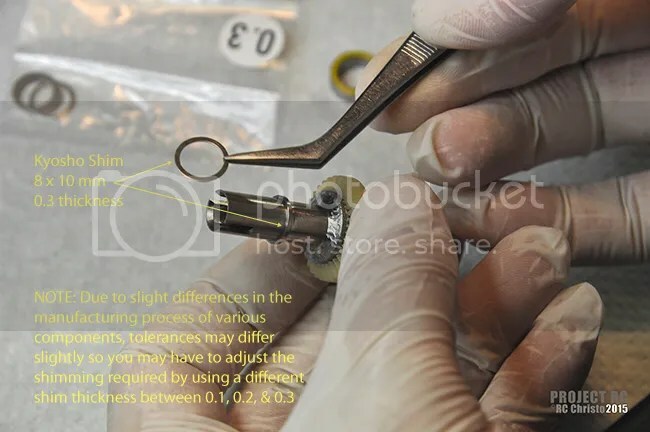 For other people referencing this article, you may find that you may only need 0.2 thickness, or a combination of 0.2 and 0.3 for example.